What is Hip and Knee Replacement Surgery? If you are reading this article, you probably are considering or are about to have hip or knee replacement surgery. Hip and knee replacement, which is also called arthroplasty, often is done to correct arthritis-damaged joints that are painful or difficult to move. Joint deformities, such as severe knock-knee or bow-leg. Keep in mind that if you have arthritis, surgery will not cure it, but it should allow you to move easier and feel better. Typically, individuals for whom joint surgery is appropriate have so much pain that it affects their quality of life, their work, recreational activities or personal life on a daily basis. There are several types of surgery for hip and knee replacement. The sections that follow describe the different types of surgery and explain what goes on in the operating room. In addition to the conventional types of surgery described in the sections that follow, there are new minimally invasive procedures in development that may be used in some situations. With this type of procedure, the incision is smaller and your hospital stay and recovery time may be less. Total joint replacement, also called arthroplasty, is one of the most common types of surgery. Hips and knees are the two joints most commonly replaced, but other joints, such as ankles, shoulders and wrists, also can be replaced. Total joint replacement usually is done when all other treatments, including medication and exercise, have failed to provide pain relief. The surgeon removes the damaged bone or cartilage and replaces it with an artificial joint (called a prosthesis or implant). The artificial joint may be made up of polyethylene (a special type of plastic), metal and/or ceramic. In some cases, the artificial joint is held in place – or cemented – using a special bone cement. In other cases, the artificial joint is coated with a chemical or metal alloy that allows bone to grow around the replacement and hold it in place without using cement. Partial knee replacement, or unicondylar knee replacement, is sometimes done on people with osteoarthritis on only one side of their knee. Many different health-care professionals will play a role in your surgery. A primary-care physician, also known as a general practitioner, family physician or an internist, is your regular doctor. He or she may diagnose the problem that leads to your surgery. A primary-care physician also can refer you to specialists – doctors who have extra training in specific areas of health care. If you have arthritis, your primary-care physician may refer you to a rheumatologist, a doctor who has specialized training in the diagnosis and treatment of arthritis and related diseases. A rheumatologist will identify and treat your arthritis and help determine if surgery is right for you. If your rheumatologist or primary-care physician recommends surgery for your arthritis, he or she can refer you to an orthopaedic surgeon, also called an orthopaedist. These specialists have extra years of medical training in the treatment of bone injuries and problems and perform surgery on joints and bones. Physical therapists, or PTs, guide your rehabilitation and recovery process, helping you regain your range of motion, strength and flexibility after surgery. Occupational therapists, or OTs, help patients find ways to perform everyday tasks, such as basic job functions, that put less stress and strain on newly replaced joints. The type of doctor who usually performs joint replacement surgery is an orthopaedic surgeon.An orthopaedic surgeon has specialized training in performing surgery on joints and bones. Can you tell me what the outcome (decreased pain; improved function) has been for most of these patients? There are three types of anesthesia: regional, general and a combination of the two. Regional anesthesia numbs only the part of the body that will be operated on. The rest of your body is conscious of what’s happening. The most common type of regional anesthesia is called an epidural. General anesthesia puts your brain and whole body to sleep so you do not feel or remember what goes on during your surgery. A combination of regional and general anesthesia numbs that area of the operation, while a lower dose of general anesthesia helps you relax and be less aware of the surgery. If you are overweight, your doctor may recommend that you lose weight before surgery. This makes it easier for your surgeon to reach the parts of your body that he or she will be operating on. Losing weight will lessen stress on the artificial joint and your other joints and make it easier for you to move after the surgery. Exercising before surgery can strengthen your muscles and improve your endurance, which can help you recover strength more quickly after surgery. If you need to lose weight, exercise can help. In addition, you will need to exercise after surgery, so become familiar with and practice the exercises that your doctor recommends before the surgery. It is a good idea to ask your surgeon for a referral to a physical therapist for instruction in the exercises and suggestions to help you get around after surgery. If you smoke, quit. Smoking can slow down your healing and recovery. You will need to prepare your family, friends or other supporters to spring into action during and just after your surgery. Following your operation, you will not need time to regain your mobility and recover. You will be able to move around easily at first and will likely need help with many simple activities. You will also need encouragement during your recovery, to help you deal with initial pain and to motivate you in exercising and regaining strength. Consider designating one family member to be the contact person for doctors and other hospital staff during and right after your surgery. You will also need someone to bring you home from the hospital and be with you for the first few days. Before the operation, your family and friends may be able to help you prepare your home for your return from the hospital. They also can help you prepare meals ahead of time so you have quick, simple items that are easy to eat when you first arrive home. Hip and knee replacement surgery may cause you to lose enough blood that you will need a trans-fusion. Talk to your doctor about autologous (reinfusing blood from your own body) and directed (transfusing blood from one person to another) blood donation. The safest type of transfusion uses your own blood, which you can donate before your surgery. There are new blood donation techniques that allow you to reuse your own blood during or after surgery. These are called intraoperative salvage (where a machine collects lost blood and pro-cesses it for re-use) and post-operative cell salvage (where collected blood is transfused after your surgery). If you cannot donate your own blood, family members and friends with the same blood type can donate blood for you or the hospital can use blood from a blood bank. You may also take a medication to promote increased bone marrow production of red cells in certain cases. Put items you use often within easy reach. Remove loose carpets and throw rugs, and tape down electrical cords to avoid falls. Shop ahead of time for groceries and other supplies you will need when you come home. Because you may have difficulty walking up and down stairs immediately after your surgery, it is a good idea to arrange for a place to sleep and a bathroom or portable toilet on the first floor of your home. After you check in at the hospital admissions desk and change into a hospital gown, you will be prepared for surgery. Your laboratory tests will be double-checked and you will have intravenous (IV) lines, which are narrow flexible tubes, inserted into your veins so that fluids and medications can be given to you. Next you will receive anesthesia and IV antibio-tics, which nurses will monitor. Once you are in the operating room, you will be positioned properly for the type of surgery you will be having. You will be placed on your side with the hip to be operated on facing upward. You will have to stay in this position for a couple of hours, so special supports will help hold you in place. The surgeon will make an incision, or a surgical cut, of about six to ten inches along your hip. He will separate the thighbone from the socket of the hip. Next, he will remove the head of the femur (the rounded ball portion of your thighbone). Then the surgeon will use surgical instruments to reshape the socket to a hemispherical shape. The surgeon will place the implant and attach any of the soft tissues like muscles and ligaments that were cut during the operation. This helps secure the joint components within your leg. The surgeon will make an incision about six to seven inches long down the front of your knee. 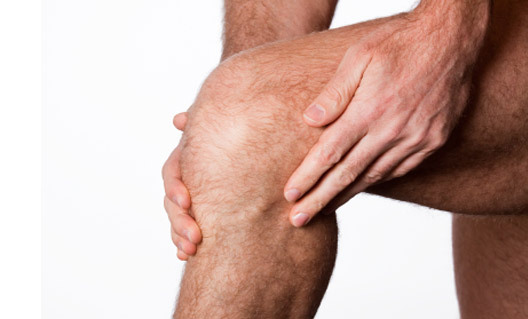 Then he or she removes the damaged sections of the cartilage and bone of the knee as needed in small amounts. Using surgical instruments, the surgeon will reshape the bone ends to prepare them for the implants. The metal portions of the implants are attached to the femur and tibia with bone cement. (Most knee replacements are secured using bone cement.) However, in a cementless implant fixation, screws or pegs may be used initially to secure the implant in place until new bone grows to hold it. The surgeon then attaches a polyethylene plate to the lower portion of the implant (tibial), and finally, a polyethylene part is cemented to the back of the kneecap. This part is a small, round plastic piece about the size and shape of the kneecap (patella). This part allows the kneecap to move smoothly over the knee replacement. You will stay in the hospital for a few days following surgery. Realistically, you should expect to have some pain and discomfort after the surgery, but you will receive medication to make you as comfortable as possible. Most people can stand and walk the day after surgery with the help of a walker. The amount of weight you are allowed to place on your operated leg will depend on the type of components used in the operation. There also may be certain movements and positions you will need to avoid for several weeks to protect the joint implant. You will need to follow the specific instructions of your surgeon. Walking and light activity are important to your recovery and a physical therapist will teach you how to get in and out of bed and chairs and to do specific exercises to help strengthen your muscles and restore movement. An occupational therapist will show you how to perform necessary daily activities like dressing and bathing once you are home. Although most people do not have any complications after hip or knee replacement surgery, there are several potential complications. Blood clots are the most common, and your surgeon may use special support hose, inflatable leg coverings or medications to lower your risk of developing blood clots in the leg or pelvis after surgery. To prevent infections, your surgeon likely will give you antibiotics at the time of surgery and for a number of hours following surgery. The operating team will use special techniques to lower infection rates in the operating room. Also, proper wound care in the hospital and at home is important to prevent infection. By the time you leave the hospital, you should be able to walk the hospital hallways using crutches or a walker and be almost independent. Surgical recovery puts stress on your body as well as on your emotions and relationships. Make sure your family and friends are aware of the emotional challenges you will face. Know that you can get through the difficult parts of recovery. Pain medication use; and walking aids. At home, do not stay in bed. Your doctor and physical therapist want you to have plenty of rest when you need to, but they will instruct you to move about frequently with the help of your walker or crutches, gradually increasing your activity level every day. Practice walking every day, first around your house and later taking strolls outside on dry, level pavement or surfaces. You probably will have some discomfort while moving around, but activity will help your body heal and help you feel better. You should be able to resume most light activities within a few weeks after surgery. You will need to make a commitment to physical therapy in order to make a full recovery. Physical therapy will show you how to make the most of your new joint by rebuilding your strength and teaching you how to work with your new hip or knee. 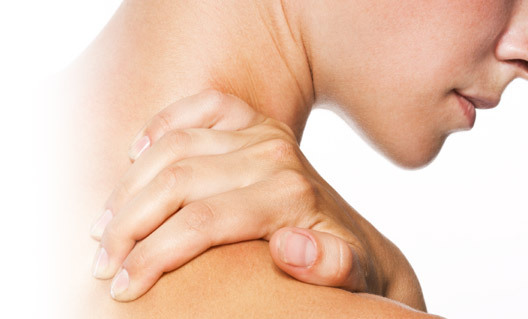 Your physical therapy sessions will consist of prescribed exercises designed to help you regain the use of your joint. You also will need to do these exercises faithfully on your own. You may want to keep a journal of your recovery process. Keeping track of your progress can give you a sense of accomplishment and allow you to see how far you’ve come.